The Central Highlands covers 8,010 sq km, or 12 per cent of Tasmania’s land mass, and is home to disparate, but thriving communities. It has a permanent population of 2,216 and 3,700 ratepayers, many of whom own shacks in the communities around the region’s numerous spectacular lakes and mountains. 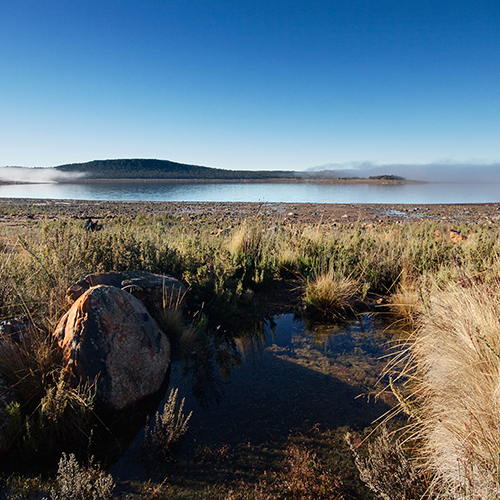 The Central Highlands boasts glorious scenery and dramatic built heritage dating back to the early 19th century. It is the birthplace of Tasmania’s Hydro-Electric power system and home to the best trout fishing in the southern hemisphere. Our region is host to a World Heritage Area, two national parks and other Wilderness Conservation Areas, to Tasmania’s recreational fly fishing, hunting and bushwalking communities, and has strong agricultural, horticultural and tourism industries. Central Highland News is the quarterly newspaper covering the Council and community activities, personalities and businesses within the region. © 2019 Central Highlands Council.